You have a choice of throttle to activate the motor. 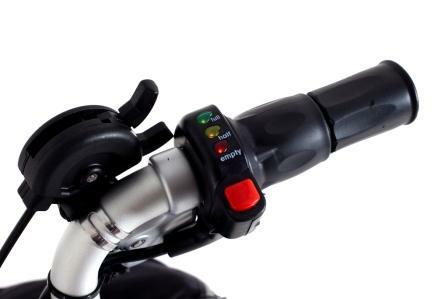 All nano electric bikes throttles come with a pedal sensor so they comply with current EU regulations. 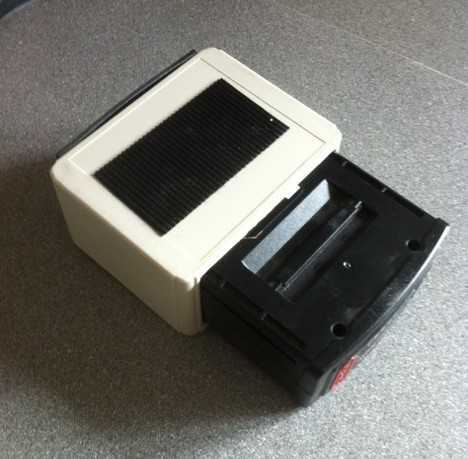 Systems can be supplied to other parts of the world without a pedal sensor where there is no requirement for one. nano electric bikes kits also come with a brake senosr fitted on the left hand brake for extra safety. Twist grip - intuitive and proportional, the furhter your twist the faster the motor goes. usually fitted on the right with LED indicators. Button Control - If you are likely to be using the motor the majority of the time and you don't want to hold a throttle all the time you pre-select a speed and just start to pedal. The motor will then take you to and maintain that speed. 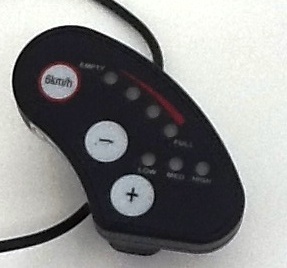 If you need more or less speed simply adjust with the easy to reach buttons. Both are just over 1kg in weight and fit all Brompton luggage. 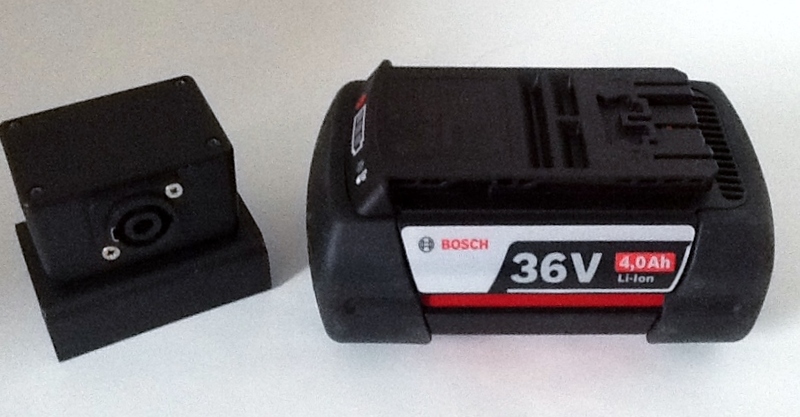 13Ah 36v battery with 25 - 50 miles range (32 - 64km). Only needed for customer in very hilly areas or who are regularly travelling 30 miles plus per day. 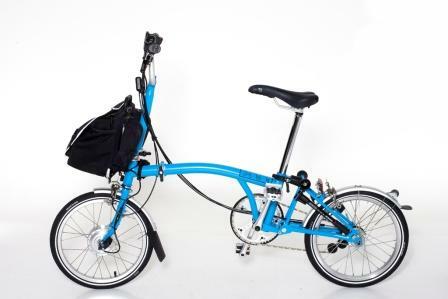 nano electric bikes systems are designed so that the battery goes inside a bag which is secured to the Brompton through the luggage block with our 'one click' connection or via a handlebar bag on other conversions. Fast, simple and so easy to use. If you don't have a Brompton bag already just choose one from a wide range or the new nano mini compact 6 depending on what else you will need to carry. 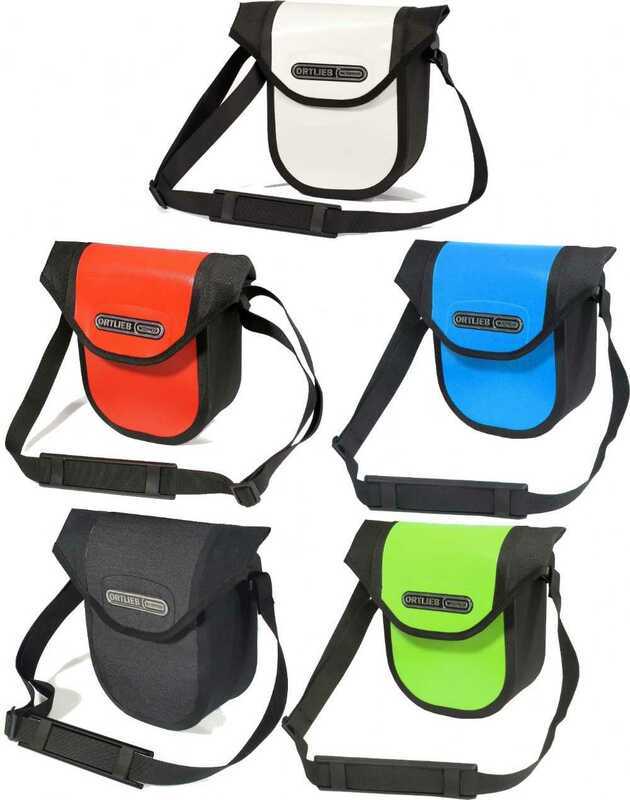 If you already have a bag that can be used so there is no necessity to buy a new bag. if you have a very old, all metal frame that will need to be changed to a new frame (£30). 2.7 litres,20 x 17 x 8 cm. The Black bag is open topped wth long handles and a Velcro fastening. 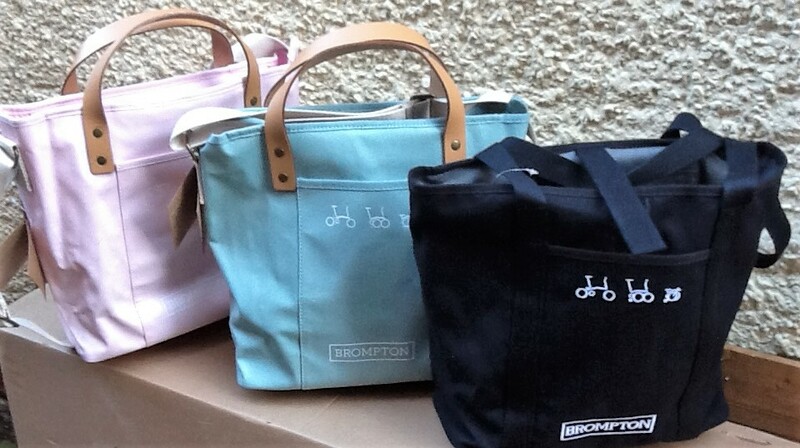 Pink, Green and Grey have leather carry straps, canvas shoulder straps and a zip top closure. A full lighting system can be fitted powered by your nano battery for £100 + £20 fitting if we fit it for you. 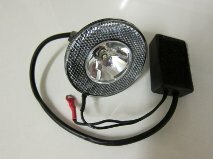 If you already have a hub dynamo we need to replace your front light with this regulator/front light with powerful LED for £55. These are ucsually compatible with most Hub Dynamo systems but ask for more details.